This time, I will introduce things that were good and bad that I became Yesman through my experience. In my previous job I repeatedly repulsed against my boss and lost my whereabouts if thoroughly gazing at my boss and colleagues who can not work. For me, I had wanted to get the job done the best without hesitation, I wanted to beat the best way, I wanted to understand it well, I showed it with actions and actions. The workplace was always in battle and there was no private invitation. I decided to quit the company with a lot of kettles, and the next workplace will become Jesusman thoroughly! I decided. At first, when I was in my current workplace, I worked in a situation where I completely killed myself like an experimental mouse. 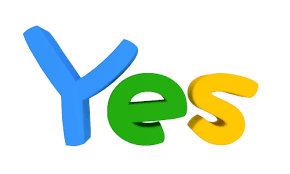 It is a very miserable story, but what happens when I become a yes man? I tried a simple question. I went to ask a lot of seniors etc from myself to tell me well. Extra work and unnecessary work as well as immediate tasks like garbage promptly! I'll do it! When I was feeling it, I was able to memorize my work beforehand and I got to be able to get many good works. Anything high hi! It is said that you go often for a drink. When I arrived at the end until my seniors and my boss got bored, I became talked about something in my workplace the next day and it helped me to make my own opinions and talks. This person mimics this part of that senior, I respect it. When I can see clearly, when I talked after understanding the part after disassembling it, the exchange spread, I was able to hear extra information and secrets. Sometimes I can not sleep. That's why tailoring to people is fundamentally tiring. I will do everything Every time I keep feeling for a certain period of time, I'm very happy being trusted, but on the other hand I feel disappointing. In a bad way of speaking, it is not interesting to those who are on a flat line of employees for a long time. Huh! What's wrong? Is it? There was a reaction like that. Was it different from the image? And I wrote sassy things on my blog this time, but now I respect respectable parts rather than yes man! I do not imitate parts that I can not respect! Why would I say that when I continued those days I completely lost my physical condition and talked about my real sounds to others, because I was seeing what I had never thought and I was understood. Even if you make characters, you understand it to those who understand? I think that it was worth having a yes man. I also learned a lot. But the first thing is to have compassion for people and be honest with yourself. Thank you for seeing to the end.